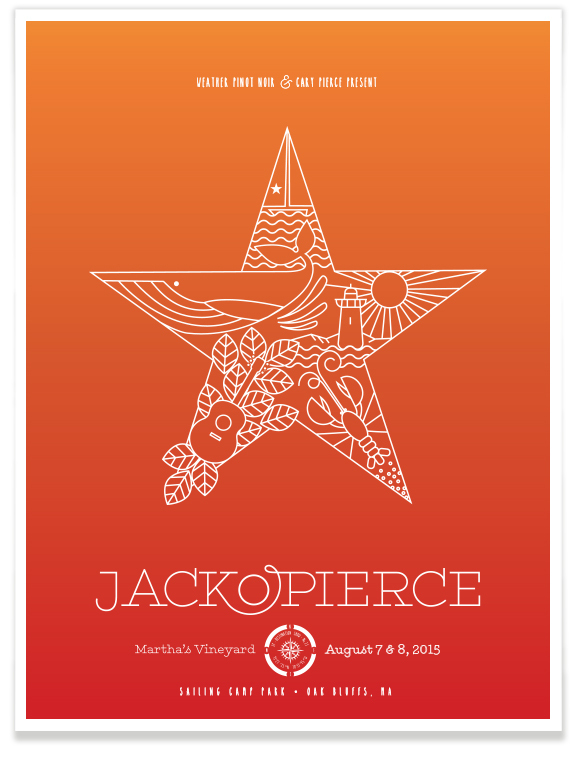 Jackopierce is going back to Martha’s Vineyard in 2015! 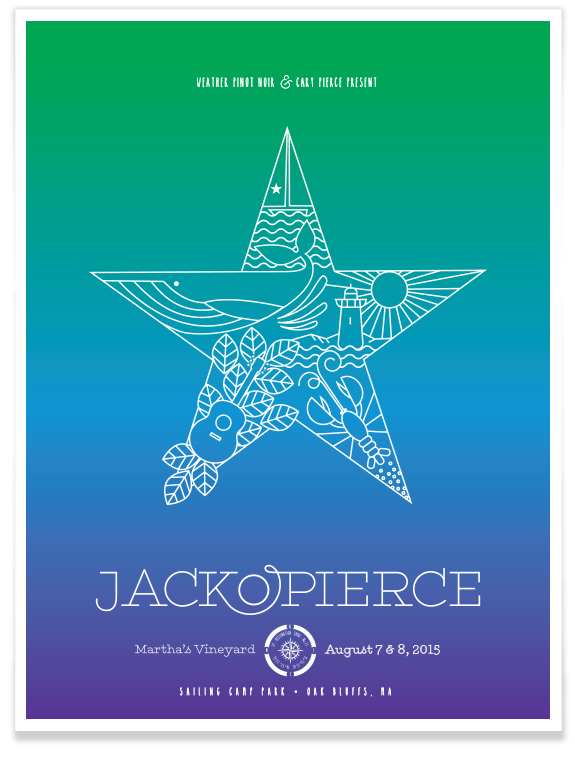 The JP star is the main graphic for this design, and it’s composed of elements associated with Martha’s Vineyard and JP. 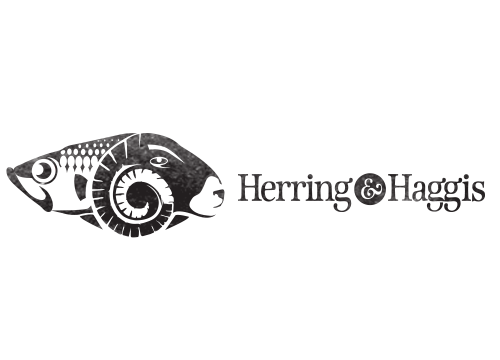 The navigational seal at the bottom holds details of the Destination Show as well as the geographic coordinates of Martha’s Vineyard. With August 8 already sold out, it’s obvious that this Destination Show is a fan favorite.